Melt Index Tester meets the standards GB/ T3682-2000, the main parameters of Melt Index Tester also meet the standard requirements of ISO1133-97, ASTM1238, JIS, ect.. It is used in polyethylene, polypropylene, polystyrene, ABS, polyethylene amide, fiber resin, acrylic, POM, fluorine plastic, polycarbonate, and other plastic materials, to measure MFR and MVR. It is widely applied to various industries like plastic production, plastic products, petrochemical, and related institutions, research institutes and inspection departments. Temperature recovery time less than 4 min. Barrel temperature time 15 min. Material sample temperature recovery time 4 min. 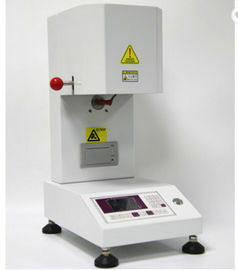 Melt Flow Indexer is based on designed and manufactured according to latest national and international standards. Its advantage to combined various machine of domestic and international models: compact structure, beautiful appearance Based on designed and manufactured according to latest national and international standards. 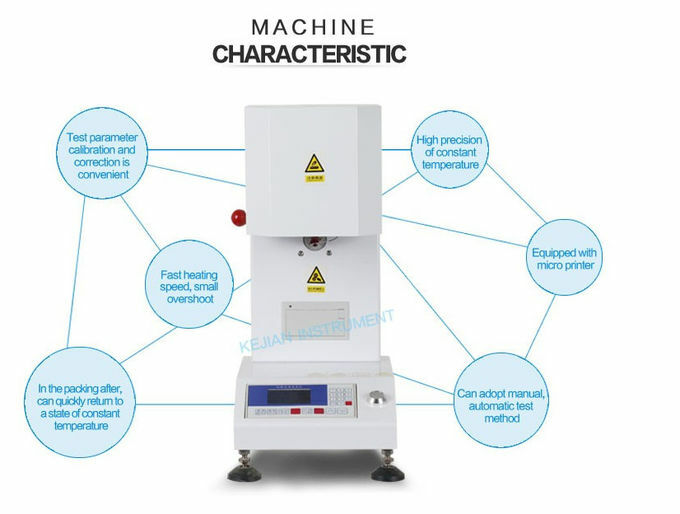 1.Using advanced electronic measurement technology, liquid crystal display test results, the micro printer output results and calculating the quality of the melt flow rate (MFR) or melt volume flow rate (MVR) (note: single determination value and many times the average of the cutting material). A: heating speed, the dinky overshoot. B: constant temperature and high precision. C: in the packing after, can quickly restored constant temperature condition.